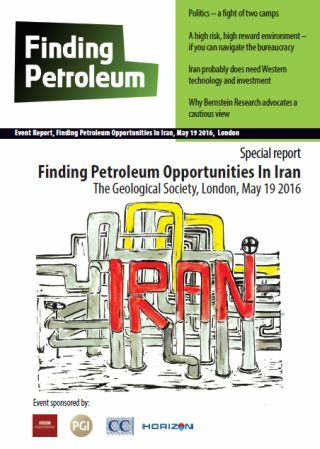 On May 19th we reviewed what is happening in the Iranian oil and gas industry as it begins to open up in a complicated, not exactly post-sanctions, era and what opportunities might be on offer for western explorers, producers and service companies. Yes, some sanctions are being lifted - but that doesn't mean that there are large business opportunities - and of course there is a lot of complicated history. And much of the production growth potential may be in gas rather than oil. On 19th, we reviewed the political and security issues, what we expect from the geology (including in the Zagros region), and the business opportunities which may exist. And the extent to which Iran requires technical help as opposed to simpy $s! Established in 1939, BBC Monitoring, is a leading provider of open source information and analysis to governments, NGOs and major corporations worldwide, including many of the major players in the oil and gas sector. Iran is one of BBC Monitoring's primary focus areas, with our teams of analysts charged with monitoring and analysing developments in areas including geopolitics, terrorism and other security-related issues. A combination of broad local media monitoring capabilities, regional knowledge and presence on the ground means that our people are in a unique position to provide deep local insight. As well as 'constant watch' monitoring services we offer a range of tailored 'above the ground risk' analysis and insight services including Briefing Notes, SitReps, Profiles/Bios and In-Depth Reports. The presentation will provide an overview of the key challenges facing Western businesses in Iran. This will include an assessment of issues linked to remaining sanctions and the risks that these present for investors in Iran. The importance, and difficulty, of performing due diligence in Iran will also be discussed. Broader considerations such as regulatory uncertainty, security and operational threats, as well bureaucratic issues also merit attention and will be addressed. Lessons and experiences from British businesses who have operated on the ground in Iran will inform the presentation throughout. Ryan Turner is a Lead Analyst for PGI’s Geopolitical Intelligence team, with strong focus in the extractive industry and expertise in the Middle East. Ryan has expert knowledge of the global Oil & Gas Sector, as well as economic, political and security developments in the Middle East. He also has an understanding of the impact of political risk on the global energy market. Ryan has shared his views on security and energy market in numerous media appearances on BBC and CNBC and other networks. Prior to joining PGI, Ryan was an Oil & Gas Analyst for a company which for the past 30 years, has had forecasts, data and analysis used by multinationals, governments and financial institutions to guide critical decisions. In this role, he worked daily with a team of country risk and sector focused analysts to provide insight and analysis in the global oil and gas market, with a regional remit focused on the Middle East and Sub-Saharan Africa. Cambridge Carbonates Ltd. is a geological consultancy that provides expertise in carbonate and evaporite systems to the oil and gas industry. As well as offering a range of non-proprietary reports for purchase, Cambridge Carbonates deliver bespoke expertise to clients in regional studies, play evaluations and reservoir characterisation projects. In 2015 the National Iranian Oil Company announced that they require $150 billion of upstream investment and $77 billion of downstream investment in their energy industry over the next ten years. In November 2015 they unveiled the new Iran Petroleum Contract (IPC) to allow International Oil Companies to invest in the Iran upstream. These IPC projects are one of three opportunities for IOC’s and international oil field equipment, goods and service providers as NIOC spend around $4 billion a year on operating costs and $5 to $10 billion in their subsidiaries on capital investment and major refurbishment projects. Iran requires both capital and technology for its oil and gas industries and it will achieve this technology transfer to the Iranian supply chain through local content targets for both the IOCs and NIOC and its subsidiaries. As a consequence of sanctions and a policy of developing a resilient economy, Iran has surprising gaps in its capabilities alongside a fully functioning and effective oil and gas supply chain. It is recognising these gaps, the opportunities to supply the equipment, goods and services that Iran requires and partnering with the right local companies, who will enhance the chance of success while protecting corporate reputation and shareholder value, that will determine which IOCs and international equipment, goods and service providers are successful in the Iranian market in long term. This talk will briefly address what is required in Iran, when it will be needed and how to win work and build a long term sustainable business in the Iranian upstream and downstream equipment, goods and services market. The Horizon Development Group employs more than 2,000 staff and has offices in the Middle East, Mozambique, Congo, Gabon, USA, Canada, Dubai, Malaysia and Hong Kong. • Procurement, logistics support and the provision of manpower.